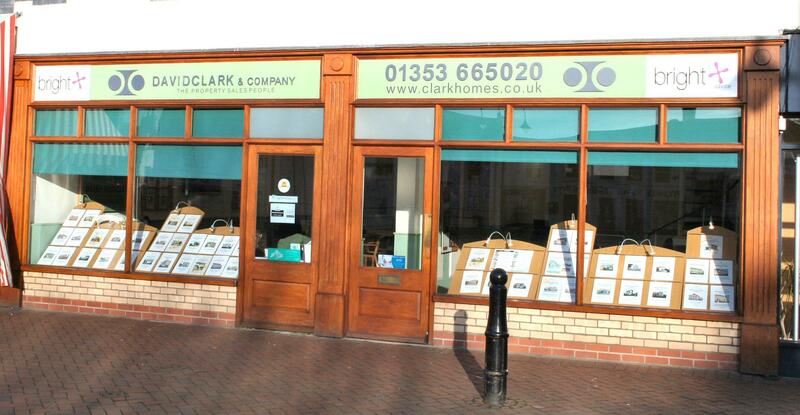 David Clark & Company can trace its local history back to 1990 in Ely and have offered 15 years of truly knowledgeable local experience, coupled with over 29 years of personal property industry experience. Our staff have been chosen for their ability to provide a service tailored to your needs. When visiting your home they will try to fully understand the reasons behind your proposed move and adapt our comprehensive marketing to suit your needs. Selling homes is not about selling 'property'. It's about helping people make informed buying and selling decisions that are right for them and their family, or about holding a first time buyer's or seller's hand through to the completion of their sale or purchase. You can not sell property like a bag of sweets or even a second hand car. There are always 6-10 weeks up to commitment for buyers to change their mind, so the deal has to be right and nurtured to conclusion. We make no overblown claims about our share of the market or how aggressively we ply our trade. More than 50% of our business comes from personal recommendation and our fall through rate is about half the industry average - now that is worth boasting about! All estate agents are not the same. Regular local advertising in newspapers such as the Ely Weekly News and Cambridge Property News. Presence on major property portals. Our recently updated website provides an interactive experience and we are also featured on further 7 websites - maximum exposure and marketing! SMS text messaging and e-mail messaging - instant marketing to our extensive database of buyers. Recent investment in new technology and software will improve contact with our clients and customers. OFT approved Ombudsman for Estate Agents members. We have been members of this scheme that provides redress for buyers or sellers if they have been disadvantaged or financially let down by a member since the beginning. It is likely that the Government and industry bodies will force this membership on our competitors in the near future. Central Market Place location in stylish offices to showcase your home effectively. We are linked with Bright Mortgage Advice who are IFA's and able to search all of the mortgage market for the best mortgage deals. They are also not tied to just one insurance company and can often provide quotes at a substantial discount to tied agents. A serious advantage over our competitors! Barbara assists with sales and has worked with us for over 10 years having been involved in estate agency for 20 years. Hilary has 12 years property industry experience and manages the rental and management department. Member firm of NAEA (National Association of Estate Agents). David Clark is FNAEA (Fellow grade). Members of Movewithus national network. Members of Ombudsman for Estate Agents. Around 90 properties currently available for sale (new and re-sale) and 20 and increasing properties to rent (we've just re-entered the lettings market). Average sale price: £200,000 but we handle homes from £90,000 to an unlimited maximum - the latter through our Fine Homes Department. Fees are charged as a % of the sale price plus VAT and our current fee level averages 1.5 %. We can tailor a fee structure to suit the property we are selling so please talk to us about fees!